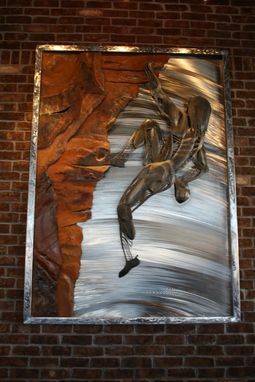 Steel sculpture relief with natural red rock cliff face and anatomical abstract figure climbing. 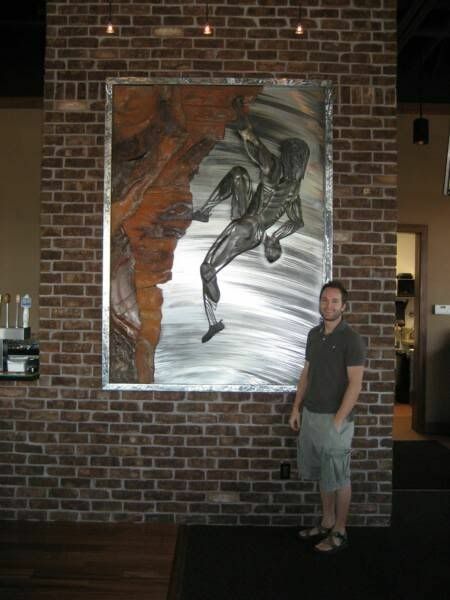 7 ft tall by 5 ft wide. Any size is doable.